They have also just released a cool new premium theme called Atmosphere Pro. What do you think? If you haven’t yet created your WordPress site you might want to check out StudioPress’s own site building platform based on WP, known as (perhaps a little unimaginatively) as StudioPress Sites. Read my full evaluation here. Using WordPress to build your small business website? 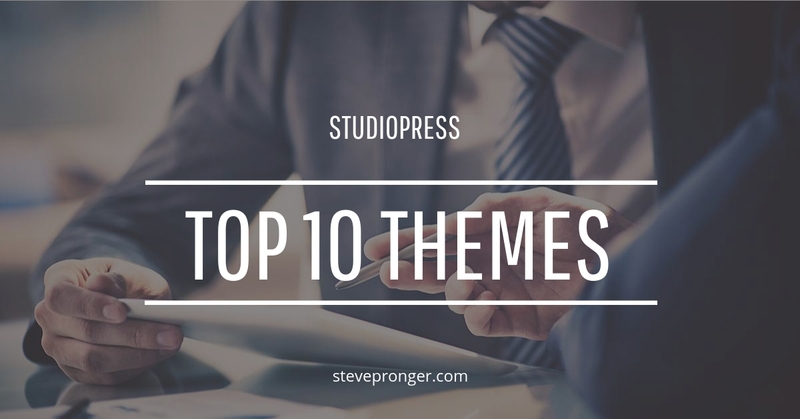 Check out the best selling premium themes from StudioPress and give your WP site some added oomph. Yep…links on this page may be affiliate links. What does that mean? If you buy the product or service I’m recommending I’ll earn a few bucks…maybe enough to buy a beer or too. But at least enough to keep this site rolling. However they are products I have fully evaluated and believe in. The price you pay will be the same or less than if you buy them directly. Copyright © 2019 Web Business Solutions. All Rights Reserved.